Fire season in Los Angeles and Orange County seems to be happening sooner in the year, lasting longer than usual and with far greater intensity. Extreme heat (drought) conditions, coupled with overly dry brush and high Santa Ana winds, helps create the perfect formula for fire damage to old wood shake and wood shingle roofs in the Southern California area. This is a risk that many property owners take to enjoy the natural wood look of a California Ranch-Style home and otherwise excellent weather we have in Southern California. Many studies have been done on the risks of allowing communities to maintain and even allow new wood shake roofs to be installed. For the most part, most communities (though not all) in Los Angeles County, Orange County and San Diego County have taken the steps to ban the installation of new wood shake roofs. Some communities such as Burbank and Beverly Hills for example, are going as far as forcing property owners to replace their wood roofs with newer, class-A roofing systems. And some insurance carriers are refusing to insure properties that do not re-roof their structures with a class-A system. Orange County for example went through community wide studies to analyze the risks of wood shake roofs, as well as their causes, the results of which can be found here. It is important to note that this study highlights the fact that the average number of fires involving wood roofs as the origin in Orange County between the peridos of 1991 to 1999 was 40 fires per year! A house can be threatened by wildfire in three ways: direct exposure to flames, radiated heat, and airborne firebrands. Of these, firebrands account for the majority of homes burned due to wildfire. Firebrands are burning embers produced by fire which are lifted into the air by a convection column and carried beyond the fire front. Typical firebrand materials include pine cones, bark, and if houses are burning, shakes and shingles. Depending on wind speed and size of material, firebrands can be transported and deposited up to .5 mile (or further in extreme cases) ahead of the fire. produced. Even homes located blocks away from the main fire can be threatened. The most vulnerable part of a house to firebrands is the roof. Because of its angle, the roof can catch and trap firebrands. If the roof is constructed of combustible materials such as untreated wood shakes and shingles, the house is in jeopardy of igniting and burning. 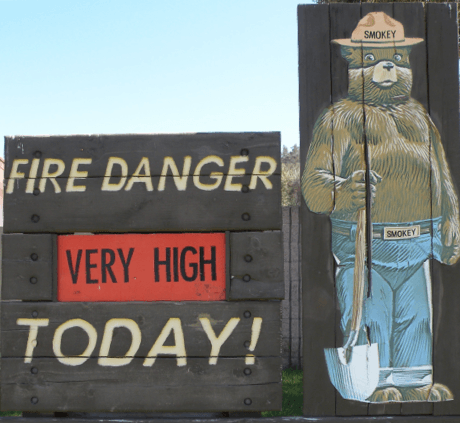 During the summer fire season, temperatures are high and relative humidity is low. These conditions make untreated wood shake and shingles easily ignitable. In addition, wood shakes and shingles are typically made from western red cedar which possesses the low ignition temperature of 378°F. (Note: A glowing cigarette has an approximate temperature of 550°F). Consequently, the untreated wood shake and shingle roof is potentially an extremely hazardous, receptive fuel bed. Not only are wood shake and shingle roofs a hazard to the structure on which they were installed, but also to other houses in the vicinity. Burning wood shakes and shingles can peel off, become firebrands, and be carried to additional receptive fuel beds, such as other combustible roofs and flammable vegetation in the home landscape. 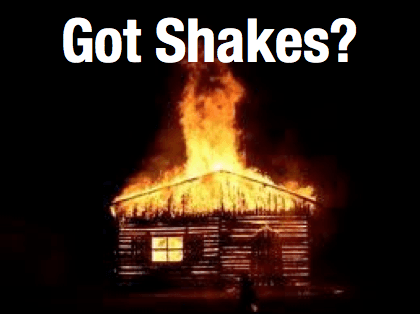 Firebrands consisting of burning shakes and shingles have been a major contributing factor to numerous fires in the western United States. The presence of flammable vegetation growing adjacent to the structure may also constitute a receptive fuel bed. A firebrand landing in flammable vegetation can start a fire and threaten a nearby house. 1- Cut back trees and brush from your property, eliminating dry, dead brush where possible. 2- Do annual maintenance to your existing roofing and rain gutter system, removing dry debris form the roof and gutters and ensuring roof ventialation is properly screened. 3- Treat your wood roof with fire retardant spray. It is important to note that we have heard mixed reviews on this method. Some say it turns the shakes orange in color, while others say this is a temporary solution that needs to be done every few years.  4- Lower the risk all together, by re-roofing your property with a class-A fire-rated roofing system such as tile, metal or asphalt composition shingle.